Ag Com Truck & Trailer Repair has been serving Melfort and the surrounding areas with quality service since 1999. You can rely on our experienced mechanics and technicians for all your heavy truck and trailer repairs, as well as SGI safety inspections. We have a fully stocked parts room so you can find the exact part you need, when you need it. 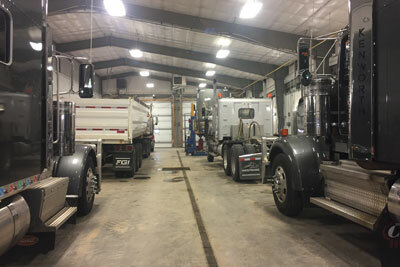 We also feature a large commercial wash bay to clean your heavy truck and trailer. We are on call 24/7 for emergency assistance, so don’t hesitate to give us a call.